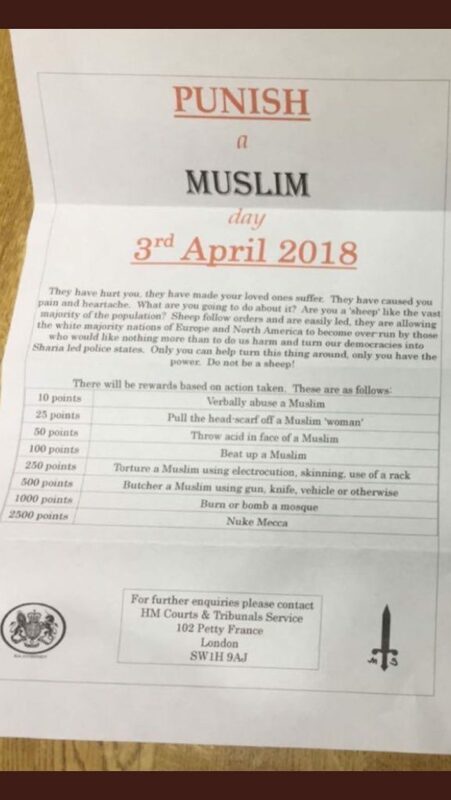 It is hard to believe that anybody is so filled with hate that they would go to the time and effort of writing these vile leaflets, getting them printed and distributing them across sections of London. But somebody has. 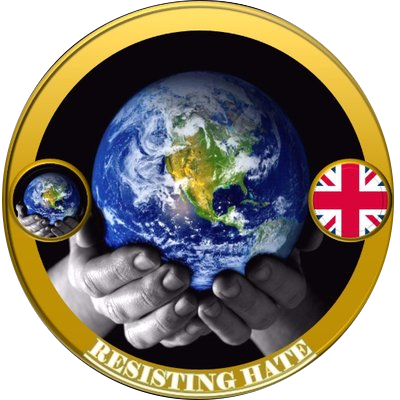 This act of organised hate crime is intended to racialise other extremist far right individuals into commiting acts of assault and hate on the Muslims of this country. This is cowardice at its worst. 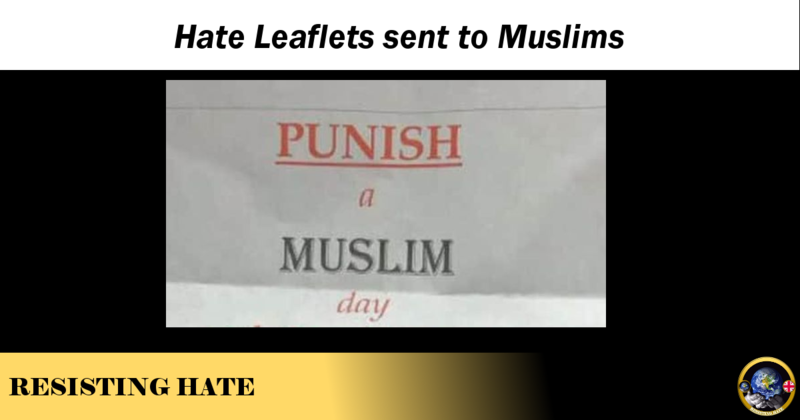 There is no name on these leaflets (except an obvious lie) no organisation have claimed them, no individual has been willing to link their real life identity to their views. This is poison pen cowardice by someone who is fully aware that decent people shun hate and who knows there will be consequences for expressing themselves in such an inflammatory manner. And there will be consequences and you will be caught. 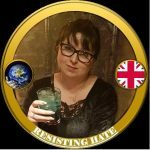 And when you are caught Resisting Hate hope they throw the book at you. The Muslims of this country add value to our communities and societies. You offer nothing but hate. It is sad to see someone waste their life on this kind of rubbish. Why can’t I read this clearly, words on letter are not readable, can you send me a better read of this letter thanks Janet. Please send me clear letter of this, it should be out there for everyone to see thanks. Hi Janet, I wish we had one, this is the best we could find. I believe the organisation MEND may have a copy of the original so may well be worth asking them.